Smart Homes and the Internet of Things (IoT) has been a viral topic in the housing and consumer electronics industries – yet consumers are still unsure when and what IoT products they can integrate into their homes. One of the reasons being that no one yet has a universal common platform for connecting these devices – such as one simple-to-use control that can connect everything in their home or work hub, like lights, appliances and security. Second, it’s the security concern. What is necessary to prevent my smart baby monitor from being hacked? And what happens if it does get compromised? FutureCite is excited to have peak preview of what may be coming down the pike and soon! The IoT hype has advocated to consumers that access and use of IoT in a smart home will be simple and easy to use. This appears to be a challenge for even the large tech giants like Microsoft, Google and Amazon. So James, as an entrepreneur in the business and future of “Controls”, tell us about how you have approached this challenge of consumer expectations? Can you give us examples of how you addressed consumer expectations? Before we started designing Levven Controls, we did in-depth market research to understand what was important to all customers: designers, estimators and construction managers working in home building companies, electrical contractors doing the installation work, and end consumers using our system in their day-to-day living. We investigated problems with different conventional and smart systems and learned what would be necessary to exceed customer expectations. All this before we developed our first product. And your first product and the benefits to the builder and consumer? 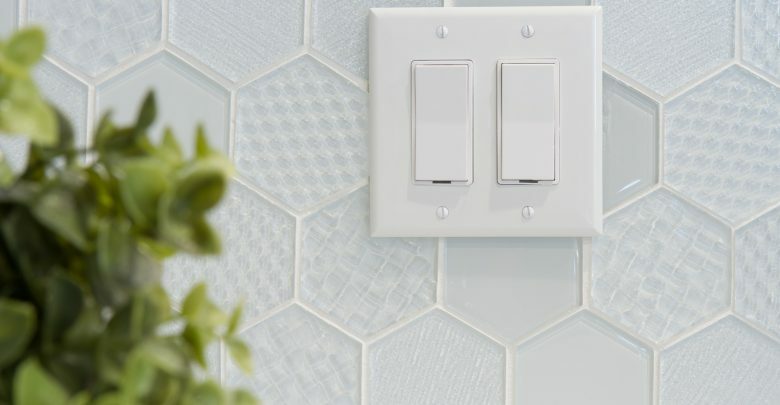 Switches are the most commonly used device in a home. Light switches, fan switches, motor switches – these provide a simple freedom that makes day-to-day living easier. We don’t even think about it. The weak point with wired switches is that they’re fixed into the wall and difficult to move or change once they’re installed. Our wire-free switches can be added or moved anytime in minutes without cutting holes or running wire in the walls – potentially damaging your home. You can place wireless controls where you want them, on any surface, brick, tile, concrete, drywall, even on glass if you wanted. You can change what rooms or devices a switch operates at any time. They’re infinitely flexible. These things can’t be done with wired switches. How do your wire-free controls help to solve some of the design and building challenges for both builders and the consumers? Think about how your home was wired. After framing, an electrician came in, installed boxes at all the planned switch locations, then drilled hundreds of holes and pulled a thousand feet of copper wire to those switch boxes. Then a drywaller installed the drywall over the studs. They also cut holes in the wall for every switch box. Later, another electrician connected switches to the wires in the wall. This takes time and consumes resources. It also introduces multiple opportunities for mistakes and accidents. Drywallers can zip through a wire or pipe when they’re cutting. Someone can hang a door on the wrong side of the frame, blocking the homeowner’s access to the switch. This kind of mix-up forces the builder to call the electrician back, plus a painter to patch the hole and paint the wall. Pretty inconvenient and costly. Let’s look at how houses are done with wire-free controls. All of that work I just described is eliminated. No one has to burn hours roughing switches into the walls. Instead, the walls go up, Levven electrical controllers are installed in the junction boxes, and wire-free switches are mounted throughout the house without cutting holes in the wall. Everyone’s job gets simpler and the time savings are significant. Builders tell us that they complete homes 1.5 to 3 days faster when they use wire-free controls. The builder saves time and resources, without increasing their costs. The homeowner gets a familiar-style control that operates just like they expect. But, they can move or change it if they choose. They can access and personalize their home electrical system from an app on their smartphone if they choose. To ensure secure connections, we’re using world-leading 256-bit encryption with a proprietary cipher authentication so our wireless switches will not accept spoofing and hacking. These are very well engineered devices. So, for the builder wireless switches use less time and resources, and for the consumer it provides more flexibility and functional features with the added bonus of security? Exactly correct. Builders and trades get to complete homes faster, more simply, without increasing their costs. Homeowners get the convenience of a smart-ready electrical system with switches they can move and change at any time. So, you decided to go with designing a cost-effective device – a switch as the first stage of entry into an IOT enabled smart home – which does not require hard wiring. Was this in respose to a market demand or to resolve engineering technology challenges that hold back secure connectivity to IoT devices? Low residential and commercial adoption rates are an economic issue, not a technology issue. Separating the wired switch into its two components – the wire contacts that control the flow of power, the switch that people press to turn things on and off – makes the entire electrical system accessible to smart apps. And we do this without increasing the cost. 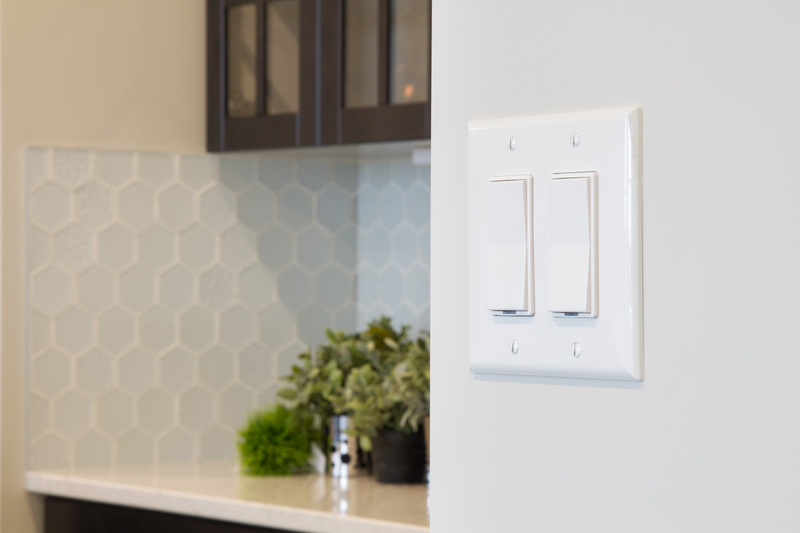 The builder and electrician can simply replace the wired switches with Levven controls, and it’s cost-neutral. You mentioned scalability and affordability for the homeowner – can you explain in more detail? A wired switch is typically connected to one room or one fixture. Sometimes two or three switches might control a light in a hall or stairwell. Once they’re wired in, they’re almost never changed because that work is too involved and expensive. So even if a switch is odd or inconvenient, people just live with it. Our approach is to simplify controls. Never penalizing the homeowner for wanting make their home more convenient. You want a switch to do something different? Move it to a different spot or add more switches to a room? Yes, go for it – that’s why we’re making wire-free switches. Our Levven switches and controllers communicate using direct-paired RF connections. One switch can be paired with many controllers. This is called pathway or zone switching – like turning on your garage and entry lights both from one switch. One controller can be set to listen to many switches. This is called multi-way or multi-location switching. Think of the ceiling lights in your great room. You might have three switches in different corners of the room, all set to make those lights turn on, off, or dim. All wireless, no extra wiring or configuration. Let’s say you decide to finish your basement. You’re adding six lights down there. You already have a switch at the top of the stairs, but now you want it to turn on these six new lights. Easily done by pairing that switch with the new controllers in the basement. No new wiring required. What was involved with the engineering to deliver these specific consumer features? Our engineering team had to deliver intuitive, reliable controls that are adaptable to the way people live, and affordable enough they could be installed in every home. There were a lot of iterations as the designs evolved but their success is evident today. So, can you explain more about the back-end engineering of your wireless technology? Levven’s wireless controls communicate with a proprietary RF protocol. Kind of like a very clever garage door opener. The thing with wire-free controls is… there’s no wire to provide power to the transmitter in the switch. Our switches are powered by batteries. We wanted to deliver a battery life up to five times better than similar devices and we wanted better wireless network reliability. To do that we had to design the wireless protocol and firmware to control power consumption during encryption and transmission. As for our network design, we created it to allow the addition of simple control building blocks as new devices are developed. This makes it scalable for different building and home sizes – and of course affordable now and in the future. We also thought of human touch response, and so created a patented mechanical design for our switch to deliver tactile feedback (or snap) just like a normal decorator-style switch, to make it easier for customers to transition from wired to wireless switches. So basically, as a consumer, I can install these devices in a new home and expand the number of wireless units anytime and anywhere in the home? For existing homes, yes. New homes can take full advantage of all the cost savings, however, as no wiring will need to be run. Pleased to have the opportunity of a sneak peak at what’s coming in your journey to enable IoT to become an affordable reality for everyday families. Look forward to our upcoming conversation as to how your wireless switches and controls will be able to save the building time and money. As the CEO, James is responsible for managing the vision and growth of Levven Electronics, developing and executing long-term corporate strategies, and building relationships with partners, stakeholders and investors. He is a life-long entrepreneur with a commitment to innovation, excellence and enhancing people’s lives. Prior to founding Levven, James and his partners founded Blue Falls Manufacturing, maker’s of Arctic Spas and expanded its footprint to over 30 countries. James is an active member and contributor to several entrepreneur organizations including Entrepreneurs’ Organization (EO Edmonton), Alberta Women Entrepreneurs, and Rainforest Alberta. When he isn’t focused on the business, you can find him with his family in Edmonton. Levven has a vision of making intelligent buildings available to everyone. Focused on delivering technology and products to advantage new construction, Levven’s promise is mobile device access and control of building infrastructure that lowers building costs, speeding construction and conserving building materials.